I have written before that the French have discovered the advantages of cycle tourists for the hotel and restaurant trade. 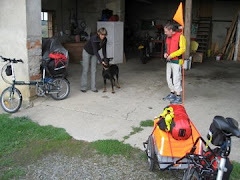 We recently stopped overnight near Valence in one of the B&B chain hotels which are normally slightly out of town centres. 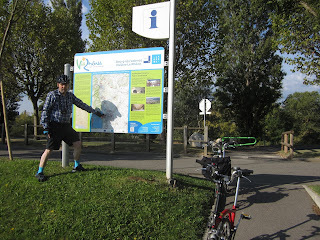 We decided in the morning to cycle into Valence and took the Rhone Cycle Route. I don't how the rest of the route is, but if this stretch was typical for a conurbation then the French have cracked cycle touring. It was initially on a footpath/cyclepath along the Rhone bank and then followed quiet well signposted roads into the city centre. 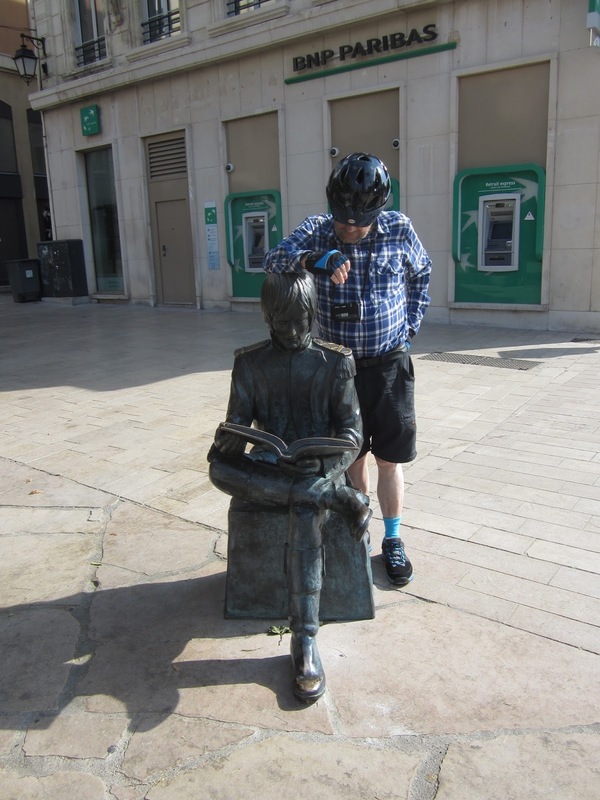 The town did not seem to be as old as Avignon, Nimes or Orange, but it made for a pleasant morning, swanning round the town on our Bromptons, peering in a number of very odd shops. Napoleon was a member of an artillery unit there before his rise to power. There is a life sized statue of him reading some military tome much favoured by the selfie types to add a little spice to their photographs. Judith caught me looking over Boney's shoulder.